This event is something my wife has always wanted to do in our backyard, and I thought this fall we would give it a try. What event? 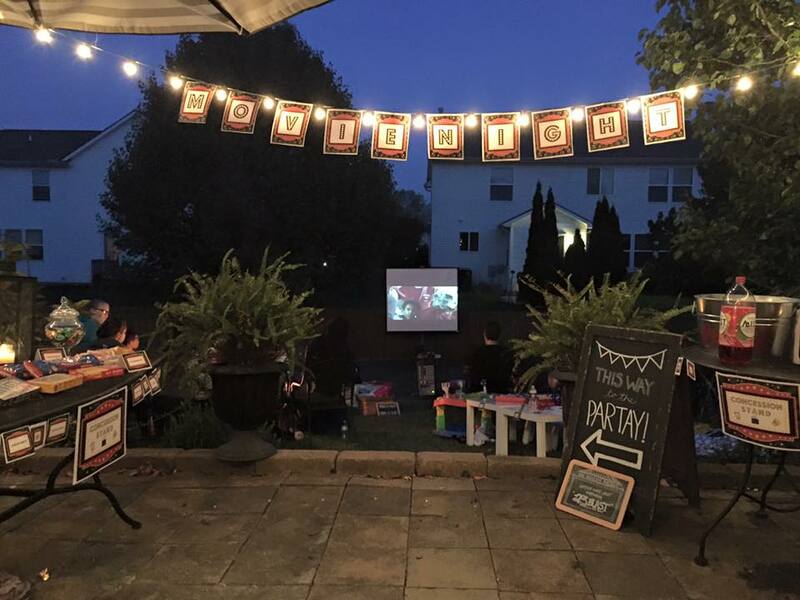 An outdoor movie night. Sure, it was a bit of a risk that it could be boring or not well-attended. But it fit our teen’s personalities, it was worth a shot, and we promised lots of candy. Food. Food is always a good place to start with teens, so let’s start there. We had everyone that was able bring $5 towards pizza. The leaders brought drinks, and the youth budget covered the chips/sides. Also, some of the leaders brought extra candy, and we purchased some theater style candy from Target in boxes. Oh, and we got a popcorn machine! Yeah, that’s right. 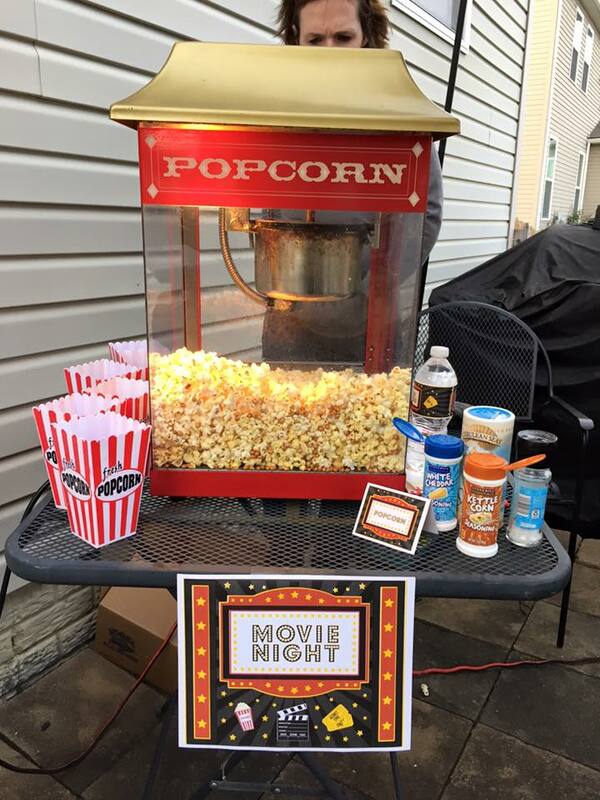 And we had all sorts of extras to make your popcorn like white cheddar & kettle corn seasonings, M&M’s, butter…the works. We ended the night with S’mores. Movie. Some suggested to just put the classic Princess Bride in the DVD player and call it a day. Well, I decided that if visitors were coming and to keep the movie appropriate for all attending (leader’s kids were there too), we chose a Christian movie. I previewed God’s Not Dead, Do you Believe, and 23 Blast. 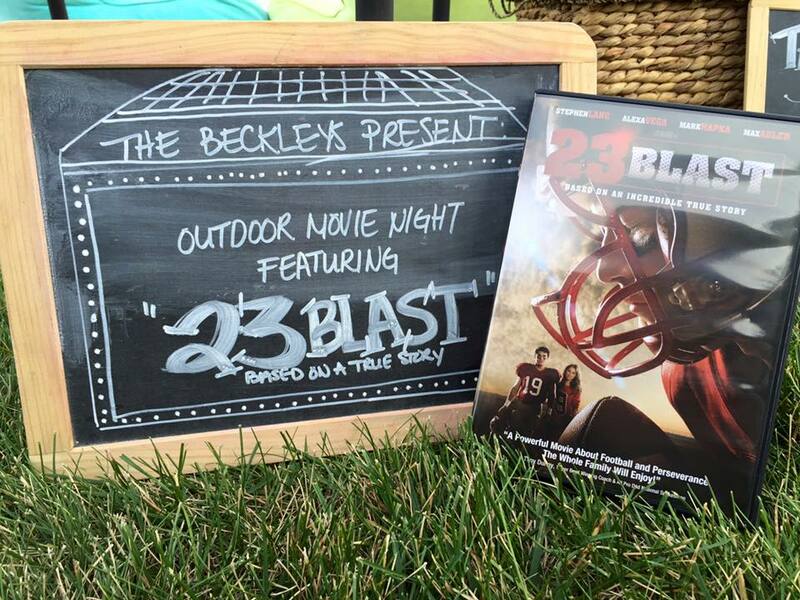 With it being fall, 23 Blast fit our time frame, the audience (High school characters), and had a good message. The sky is the limit, but safe is better than sorry. Set-up. My wife is a master at creating an incredible atmosphere and decorations. My job was to get the projector, projector screen, DVD/Player, and some power cords. She did all the rest. And as you can see in the pictures, you can see why she was in charge of the decorations. You can find the printout decorations here, which made it even more special. I encouraged the teens to bring a blanket or chair, and to dress warm. Games. Depending on the size of your yard, while people are showing up, you could have the option of corn-hole or other outside games available. 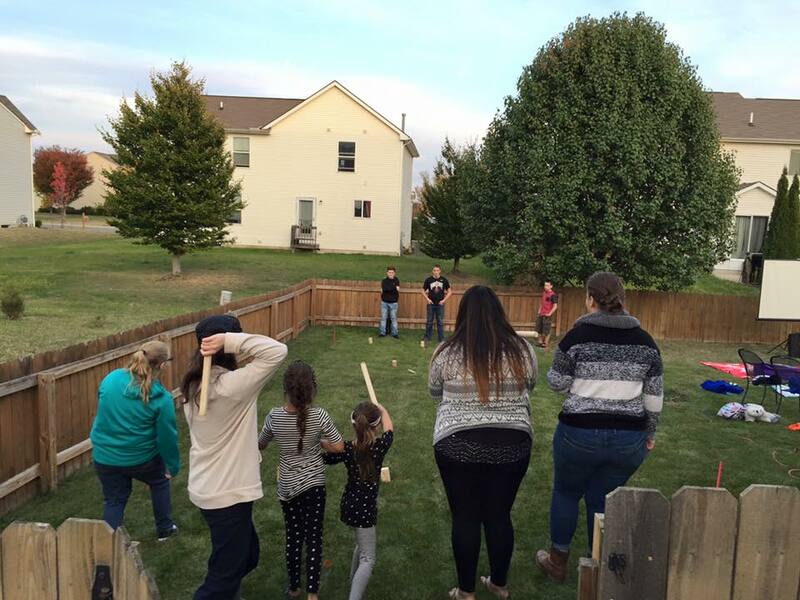 We decided to have Kubb available because it allows for many people to play at the same time. Rules. This was not a normal movie theater where guys and girls can cuddle up. So we made that rule clear at the beginning. And I had my 7-year-old daughter go around with a flashlight as the enforcer (she was very effective, and not shy about it). We also said to help yourself to the sweets and popcorn during the movie. Spiritual Options. You can use the movie as a springboard to conversation and discussion. Have a prayer time prior to the food. Do a short devotional based on the content of the movie or a topic you wish to cover. As you can see, we had a great time, and it was worth the risk of a new event. The teens loved it, and even two days later at church we heard great reviews from teens and their parents. 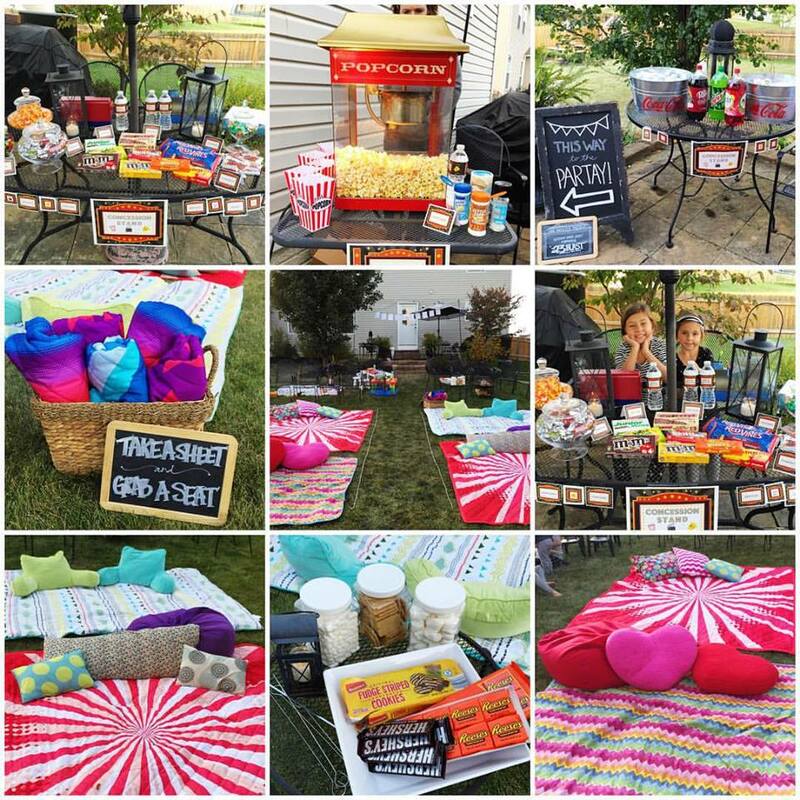 So as you plan for next year, think about an outdoor movie night as an option. Hopefully, these ideas will help your planning to be a little easier.